Christmas is upon us and there is nothing that makes me happier than giving thoughtful gifts to my family and friends. I have been very organised this Christmas and have put together a few of my favourite gifts that nourish the body and soul. 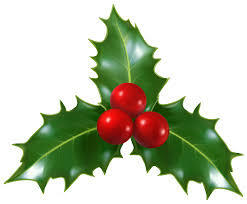 Do you want to give the gift of tasty and nutritious food? I have created a Christmas bundle pack for a limited time only. 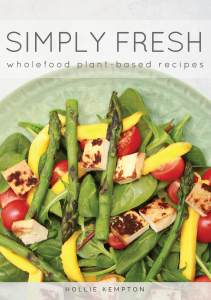 Simply Fresh is a collection of whole food plant-based recipes that will encourage even the fussiest eaters to incorporate more fruit and vegies into their diet. The joy of eating and sitting down to nutritious food will never be easier with health promoting and delicious recipes like smoothie bowls, fresh and super tasty salads, hearty burgers and flavour packed curries. These recipes are about enjoying the flavours and incredible tastes using simple ingredients that you can share with your family and friends. Health and wholefood eating has never been easier. 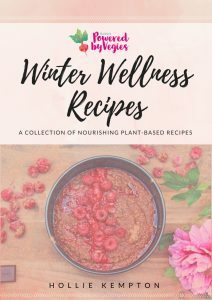 You will receive a copy of both my brand NEW Simply Fresh Recipe Book and Winter Wellness Recipe Book. Available in both Ebook and hard copy. I can’t speak highly enough about glassware instead of plastic not only as a more sustainable product, but also because it is free of chemicals and BPA. The products at Décor are wonderfully affordable and perfect for people looking to save money on purchasing takeaway and wanting to eat healthy and freshly prepared meals from home. Did you know? Food and beverage containers, some disposable plates, and toiletry bottles are all made from a range of chemicals. Research suggests that all plastics may leach chemicals if they’re scratched or heated. Research also strongly suggests that at certain exposure levels, some of the chemicals in these products, such as bisphenol A (BPA), may cause cancer in people. This containers will keep your food fresh and make it easy to carry your lunch and snacks, saving you time, money and ensuring you make healthy choices. Why I love these? 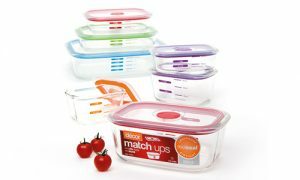 It is easy to find the right lid every time with Decor Match-ups®. The ultimate container has a smart lid colour match system where lids and bases match in colour, any lid matches any red base. The Realseal™ lids have a soft silicone seal that makes it airtight and leakproof. The lid also has an air release vent, which allows it to be used in the microwave for reheating. We have all tried delicious mushrooms of many varieties on our pizzas and in tasty stir frys. But there is an incredible world of weird and wonderful mushrooms that boast unbelievable health and healing properties. As a busy person who is super active I need long lasting energy to keep me healthy and training hard in the gym. I know that most of you out there are in the same boat. My morning routine now has a new superhero … mushrooms. Nope, you do not have to cook them! I put them in my coffee. At this point you are thinking … that is disgusting! I swear to you that they taste like chocolate. Even my not-to-superfoodie husband loves them. These mushrooms are adaptogens which means they are natural substances that work with a person’s body and help them adapt; most notably, to stress. They have the ability to minimise fatigue, balance our mood and increase our immunity. I am not sure about you but I don’t have the knowledge or ability to travel the world and forage for these mushrooms … however, the lovely people at The Grove have created two of my favourite superfood products to help you out. CHOCELIX: Cacao and Medicinal Mushrooms have been combined throughout history, however, since most chocolate generally doesn’t have any health benefits. The amazing people at The Grove have decided to rejuvenate this wonderful combination, sprucing it up with a few more super-food / super-herb adaptogens and the result are these delicious blends – with NO ADDED SUGAR. Whether you are looking to relax, be energised or nourish your immune system, we’ve got your decadence covered. 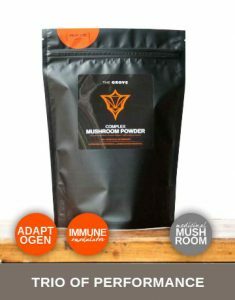 MEDICINAL MUSHROOM COMPLEX POWDER: This Complex has equal quantities of the Medicinal Fungi Reishi, Chaga and Ophiocordyceps. Studies suggest that these three fungi may be anti-inflammatory, assist with maintaining consistent blood sugar levels, have a positive impact on heart health, and aid mental and physical performance. This is a powerful trio best suited to making your body sing. Nothing feels better than giving back to others. It was hard to pick a charity gift this year as there are so many worthy charities doing incredible work. This year my heart was drawn towards giving the gift of lifesaving food. 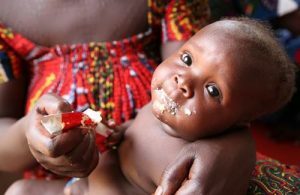 Give the gift of nutrition with 20 sachets and provide a child with a week’s worth of essential food. Don’t forget to follow me on Instagram and Facebook and keep an eye out for my Christmas Giveaways.